You can surf the internet without knowing your traces. Yes, what I said is true, you can browse any website anonymously and hide your identity, along with that you can also access any blocked websites or country wise restricted websites over the internet. 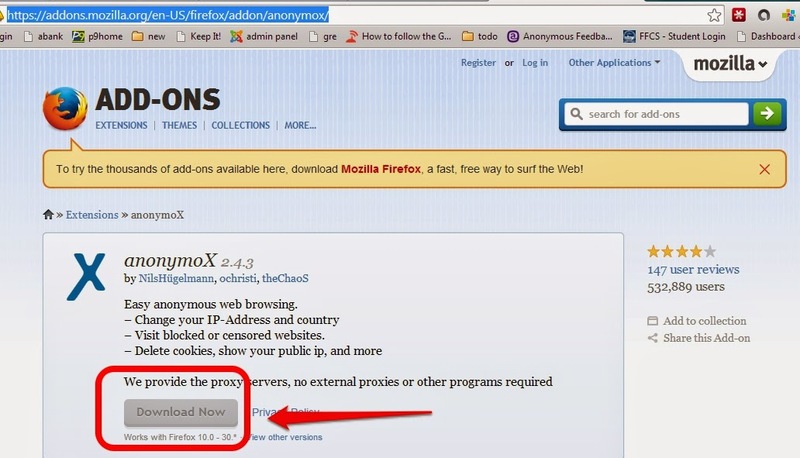 But you require two things to do this, Mozilla Firefox Web browser and AnonymoX Plugin. 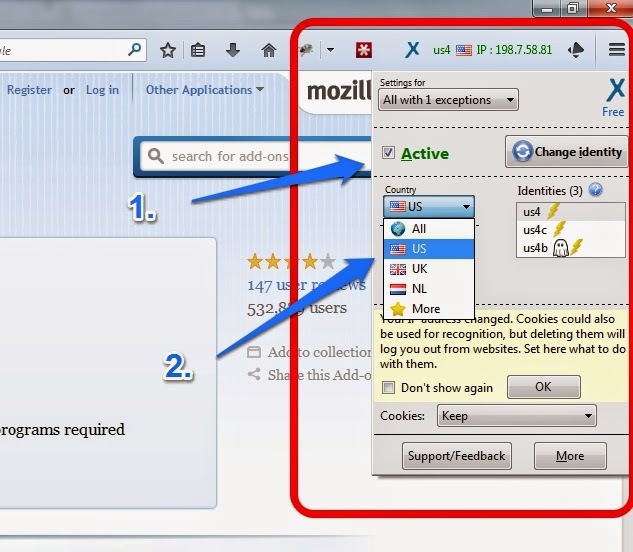 Advantages: Changes your IP Address, Changes your country name, Visiting of Blocked Websites, Turn On/Off with a single click at any time, etc. 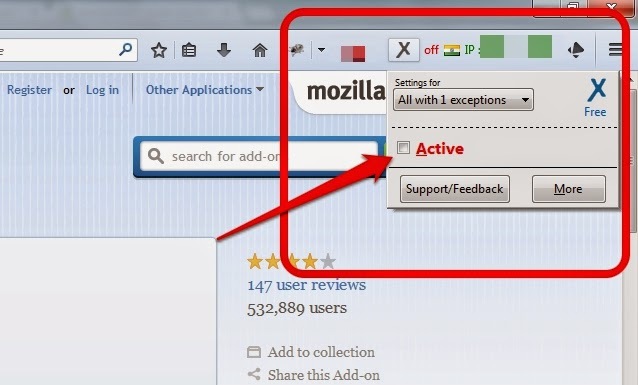 Step 1: Download and install the Mozilla Firefox Browser. (Most probably, many users were already installed on their PC's). 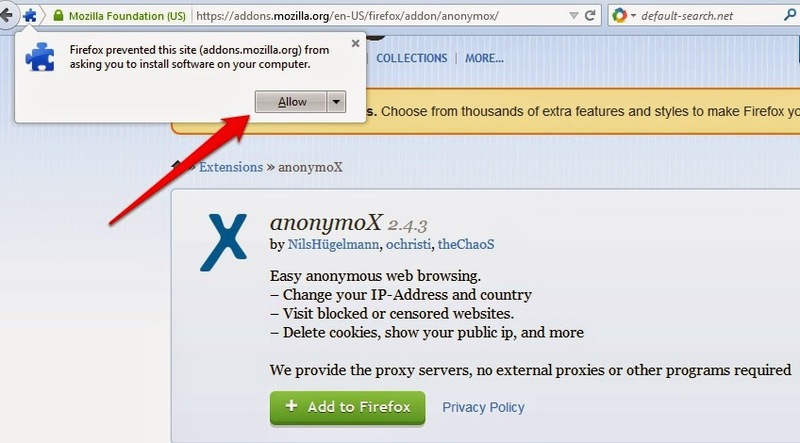 Step 2: Go this AnonymoX Firefox Plugin web page to download and add to your Firefox Browser. Step 3: Click on Download Now Button. 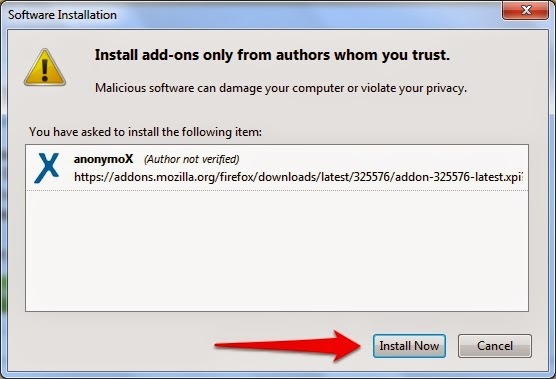 You will get a new popup asking for permission to allow installation. Step 4: Your add-on will download and ask for installation. Click on Install Now button. Step 5: Now Restart your Browser to complete installation. You're Done! With installation. Just keep that Active or Inactive. Step 7: Do you want to know, whether it is working or not? Open "www.google.com" type "What is my IP" in the search box. You will get your IP Address. Do this before and after this procedure. I've been using this for past few months, and I did't face any problems.